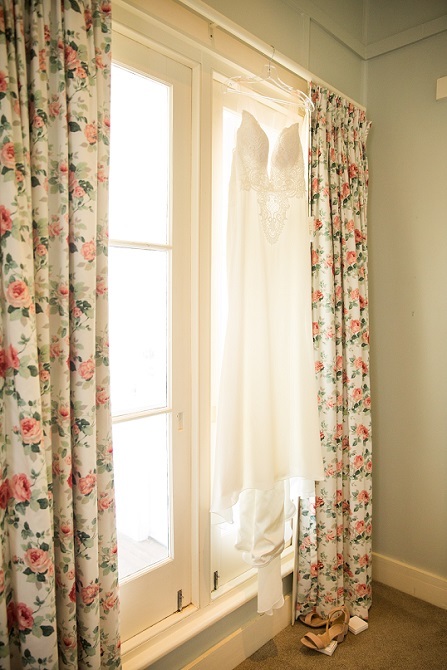 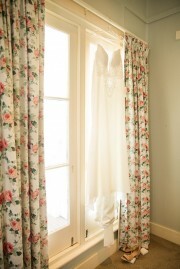 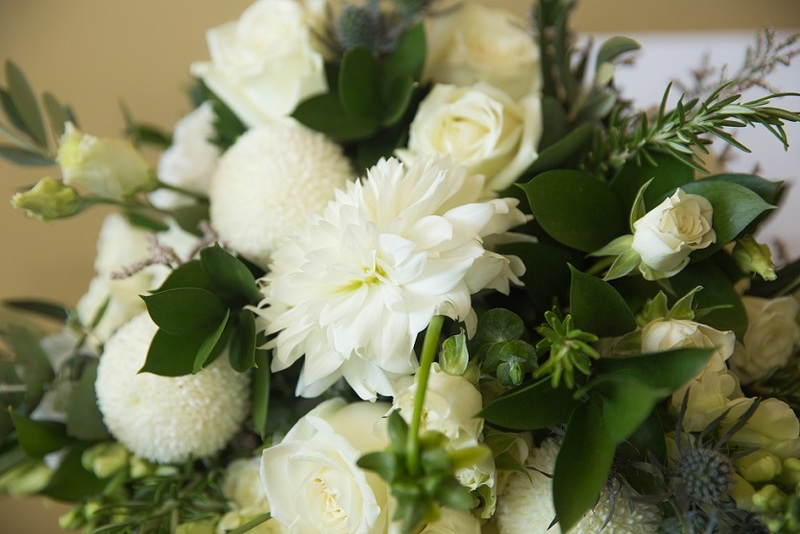 It was the first wedding of the year for me, a January wedding and by gosh was it a scorching summer we had this year. 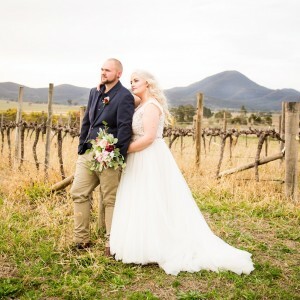 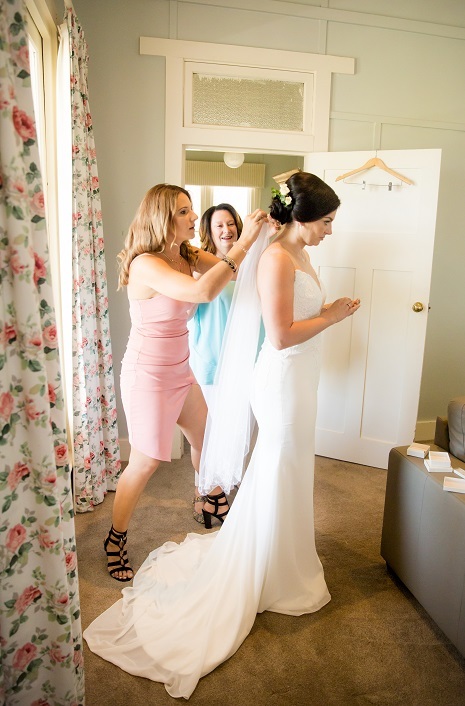 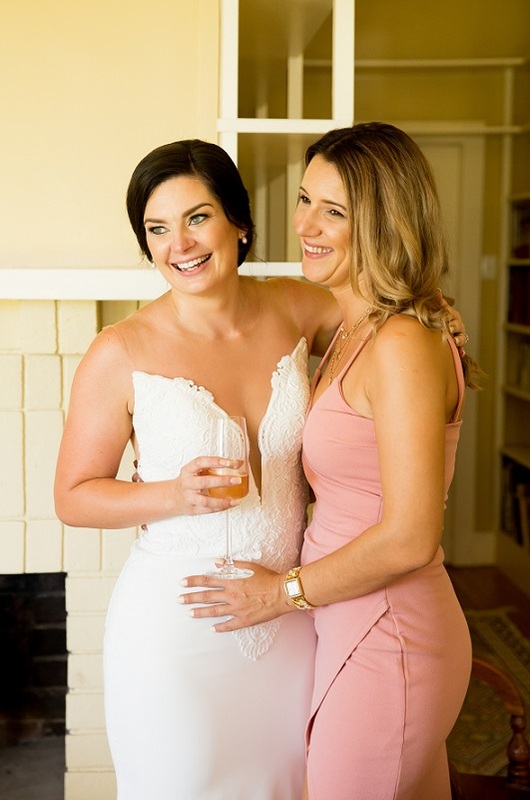 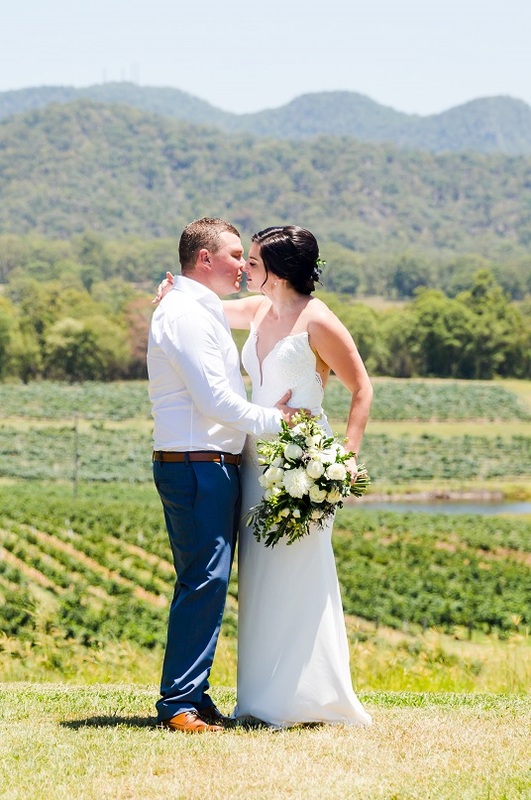 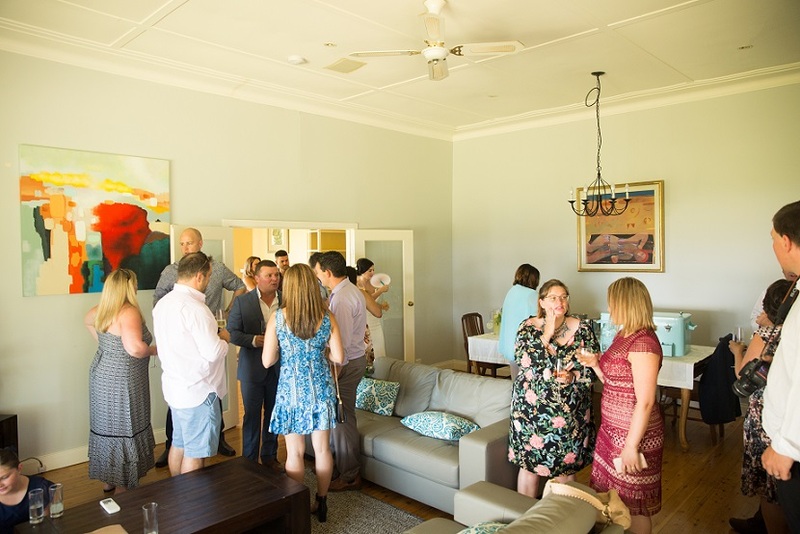 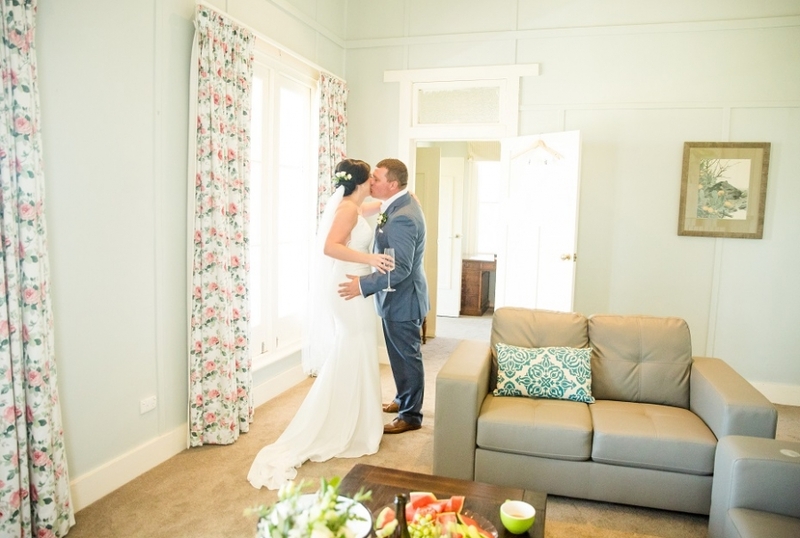 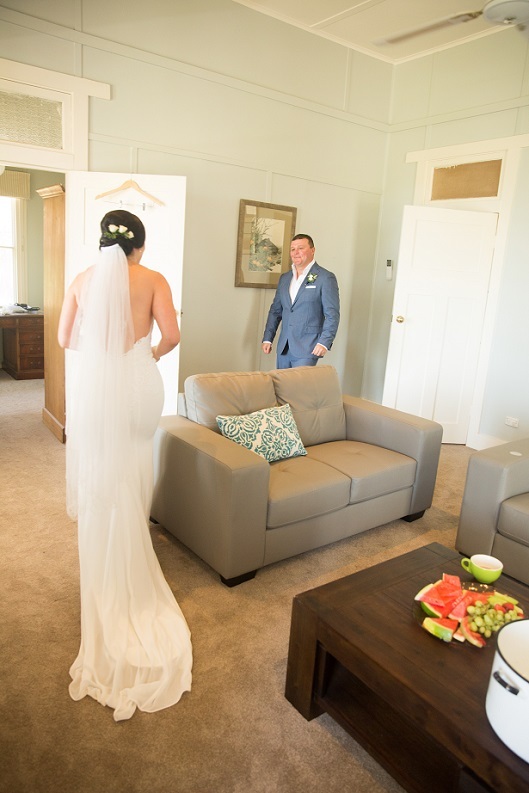 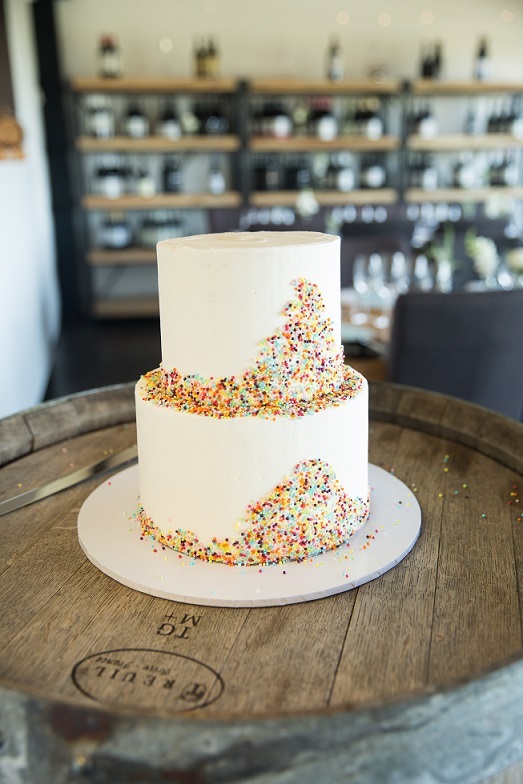 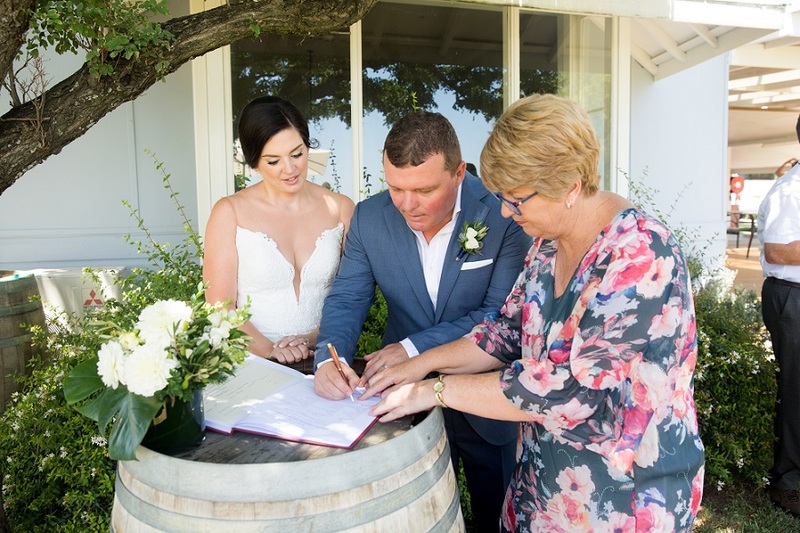 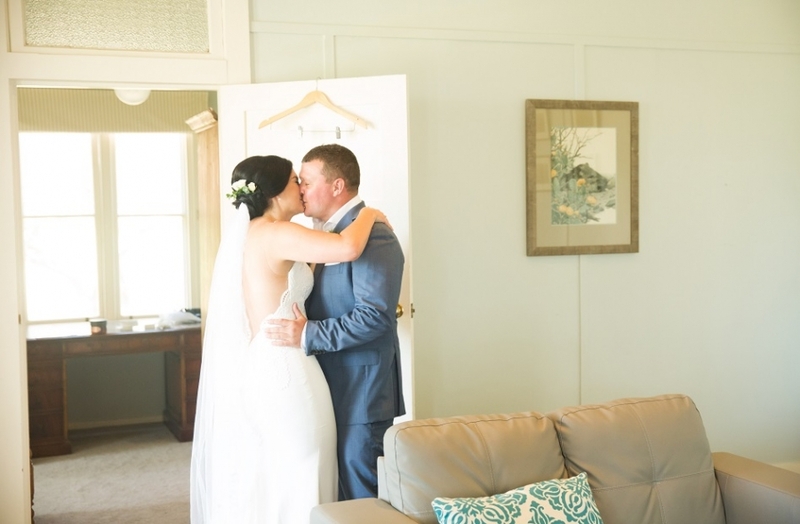 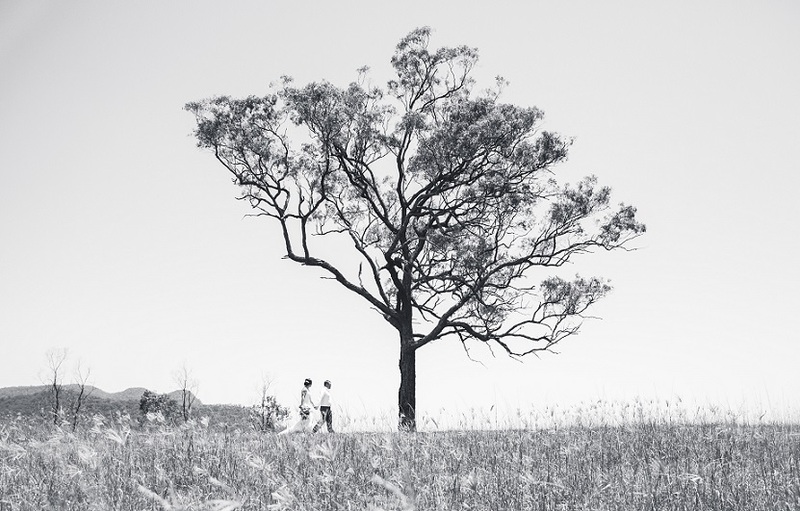 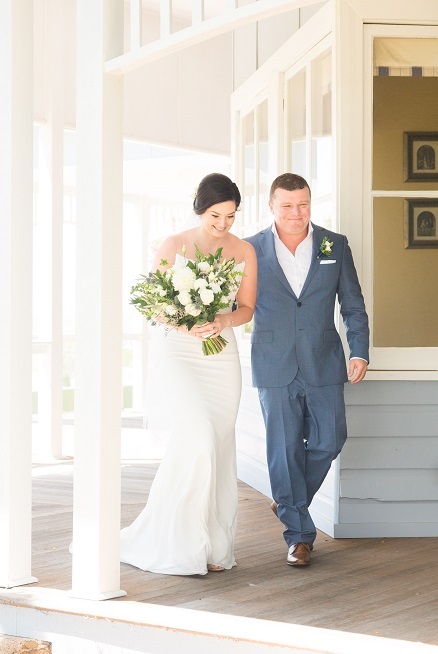 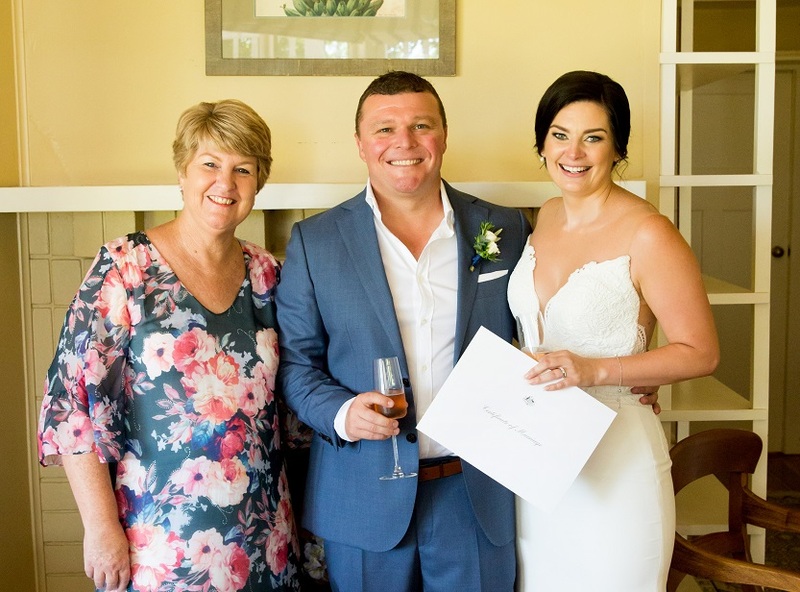 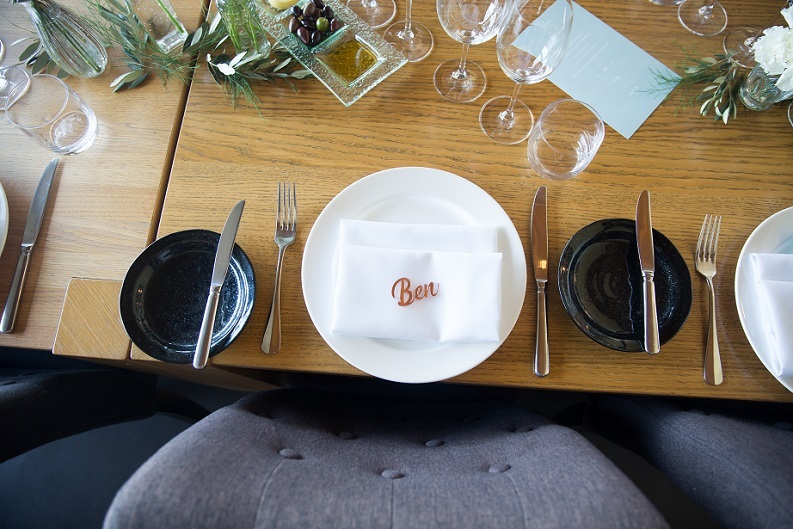 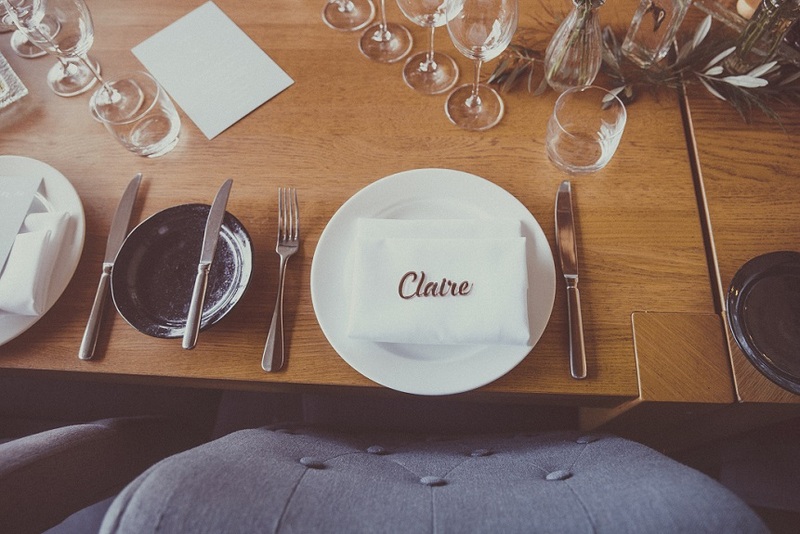 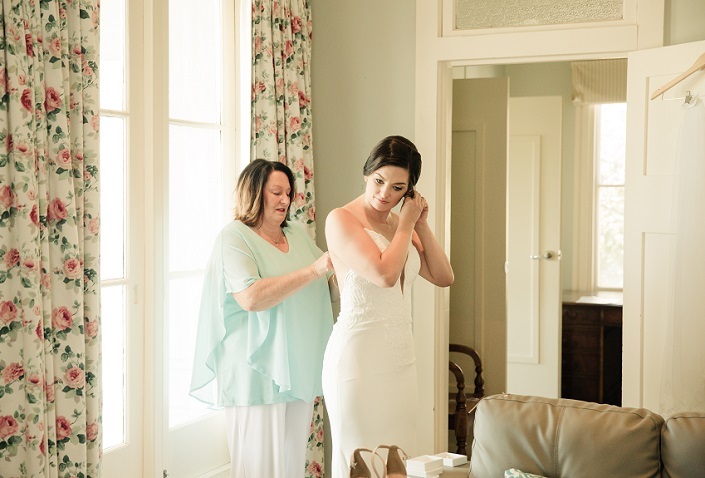 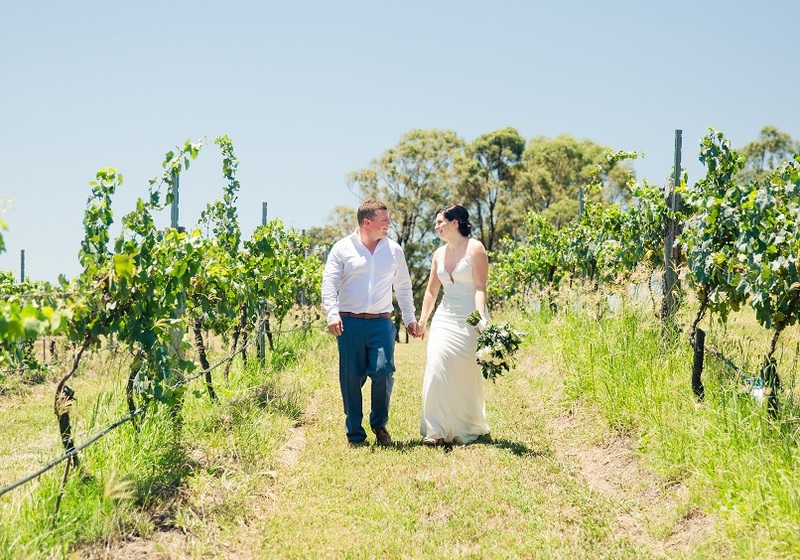 Claire and Ben had arranged to have an intimate wedding of close family and some friends at the cottage they had hired at the Audrey Wilkinson Vineyard in Pokolbin. 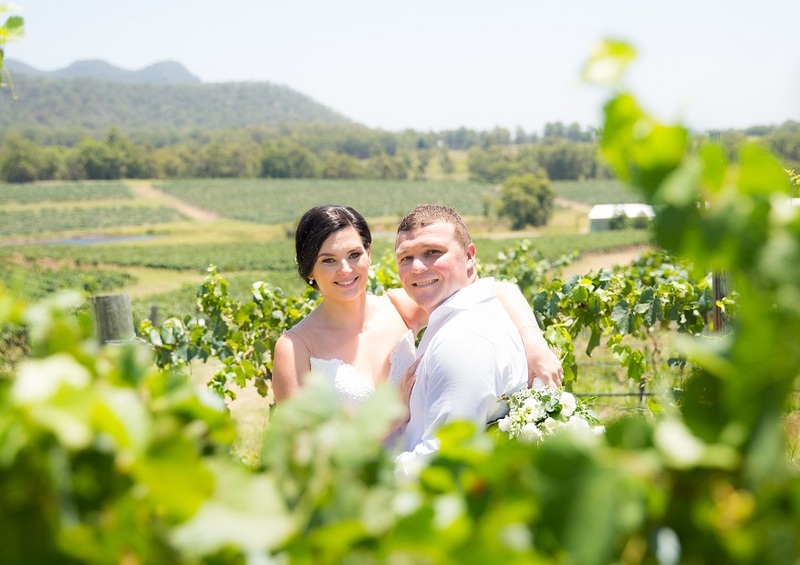 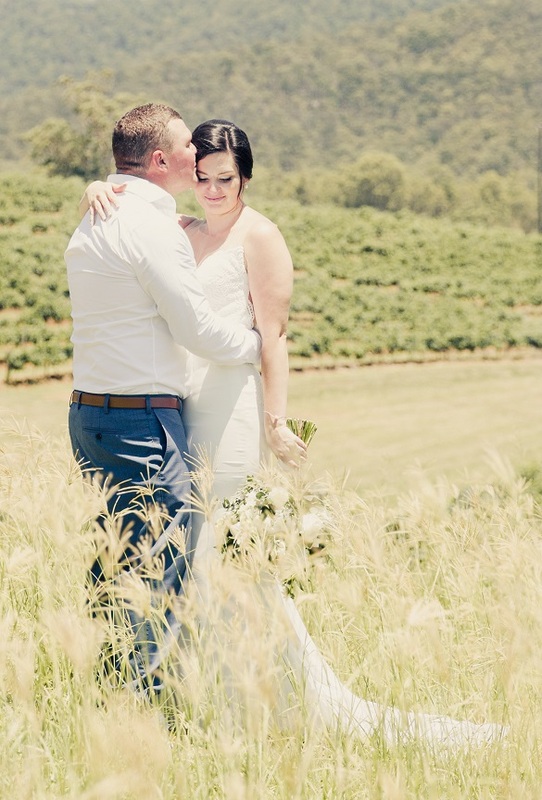 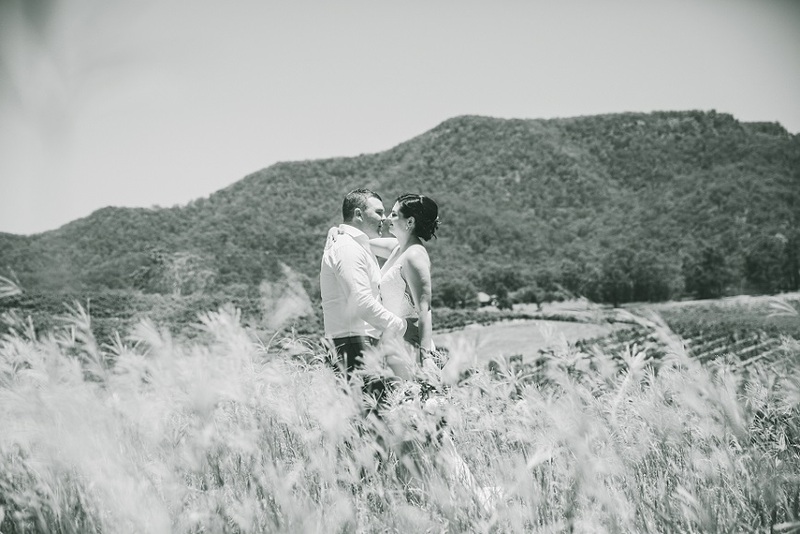 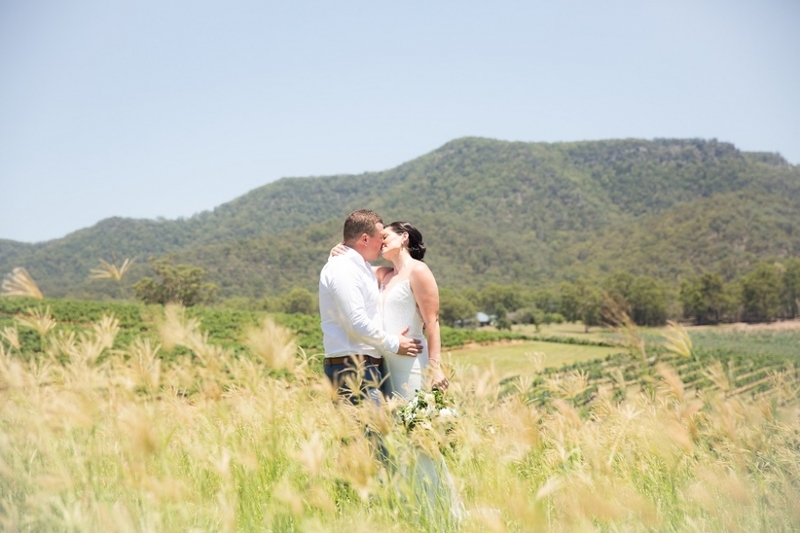 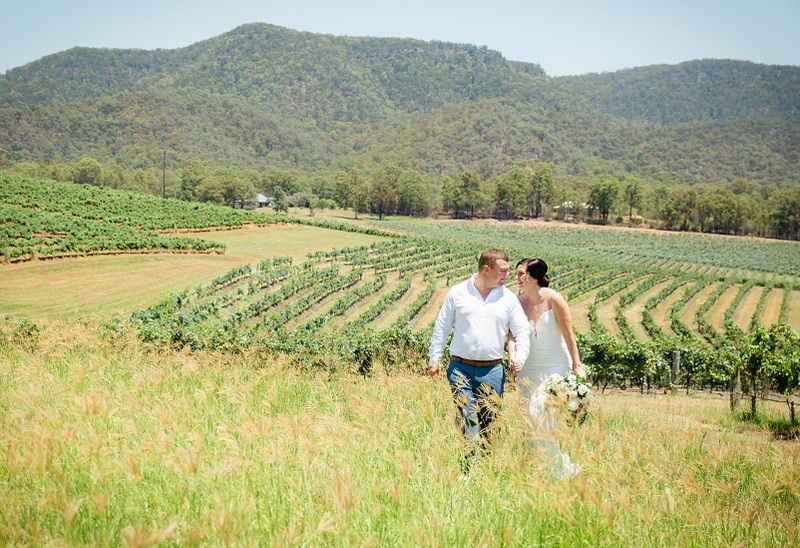 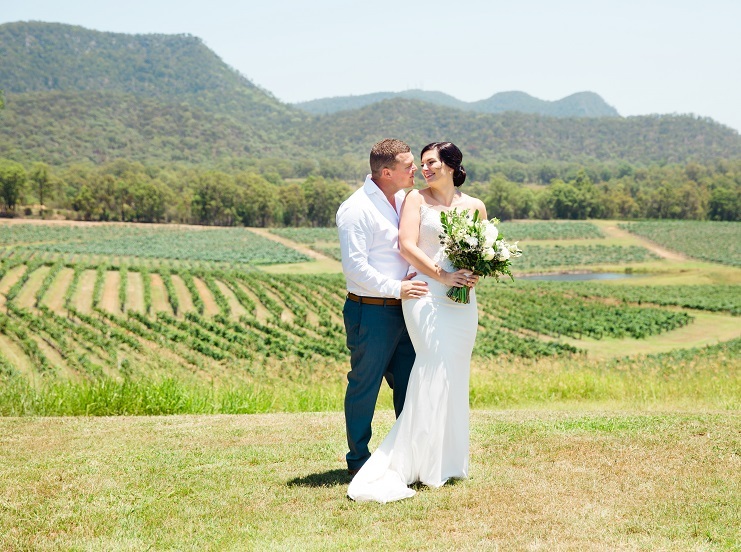 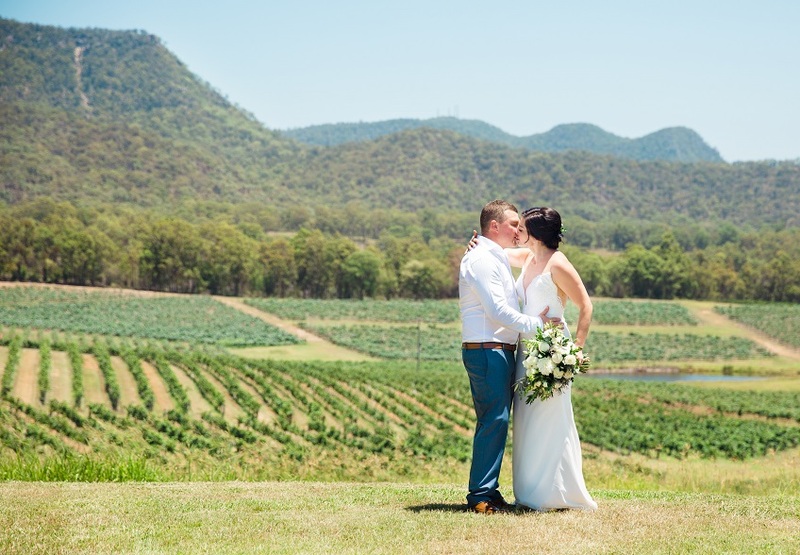 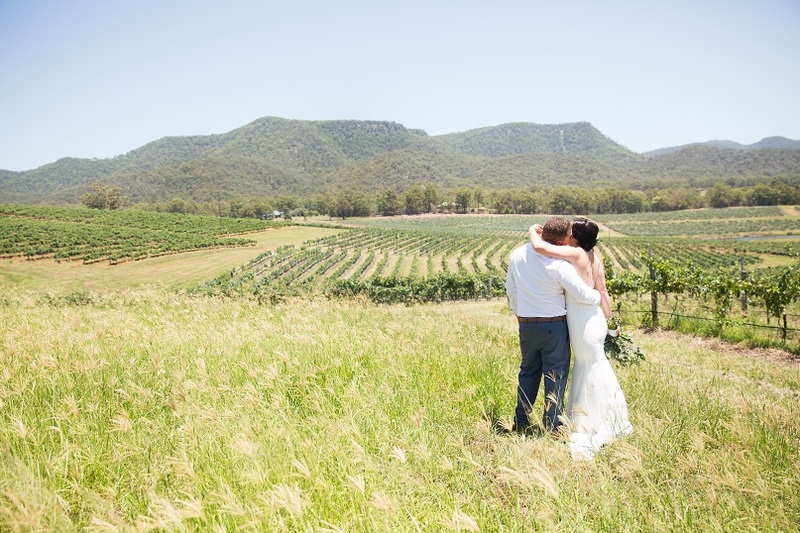 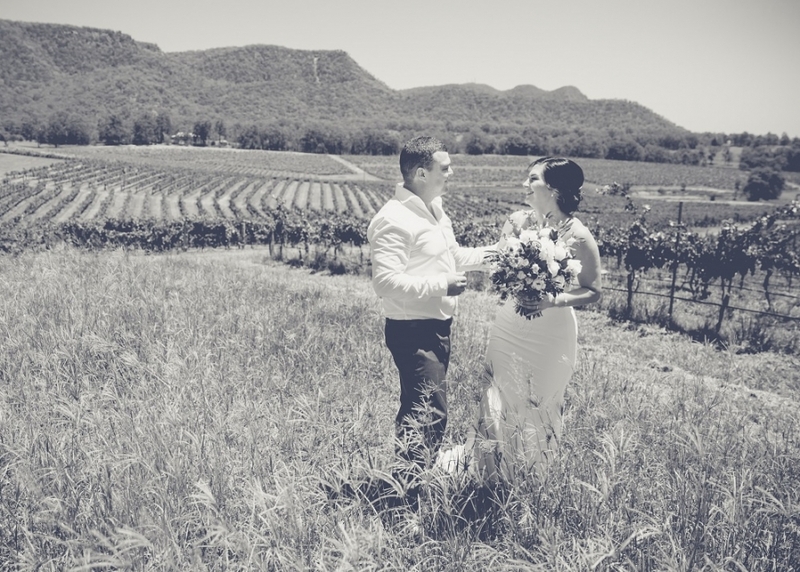 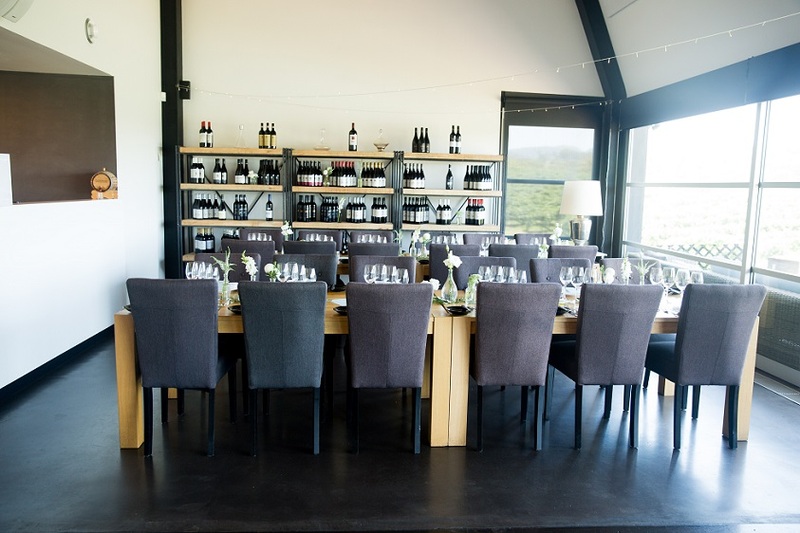 It was a beautiful setting for their special day, the cottage itself was a lovely backdrop but to have the views of the vineyards around them as well was absolutely beautiful. 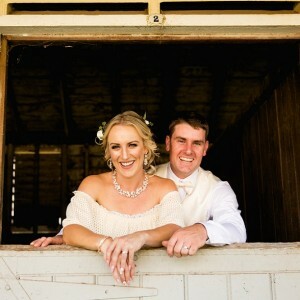 These guys requested to do a first look, which is something I don’t often get asked to do. 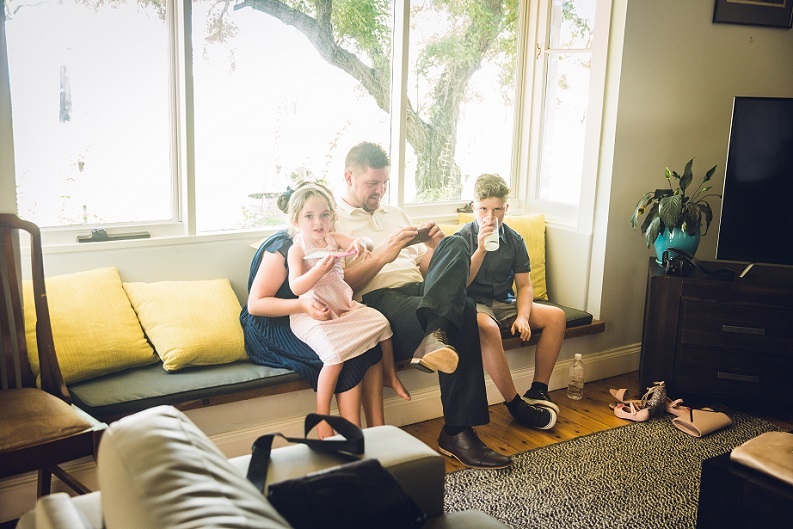 I can see why some people do this though. 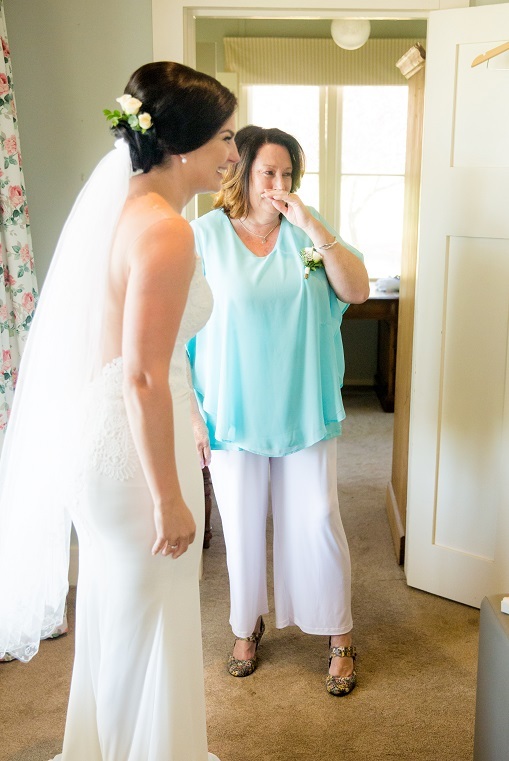 It’s nice just to have a moment with the person your about to marry and share the butterfly feelings together and have that moment of reaction to seeing each other dressed up that’s just for them to share…….well and the photographer hiding in the corner documenting the moment but pretending she’s not there. 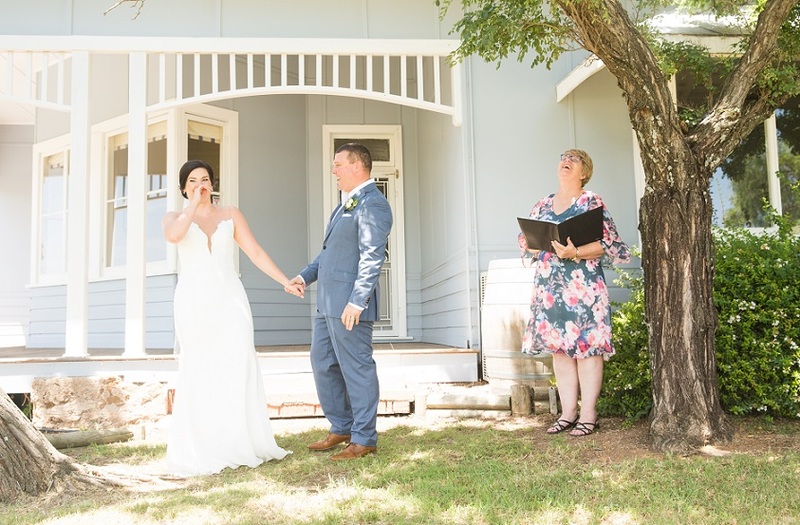 Lee Watts conducted the ceremony outside for the most part… it was an 11am wedding. 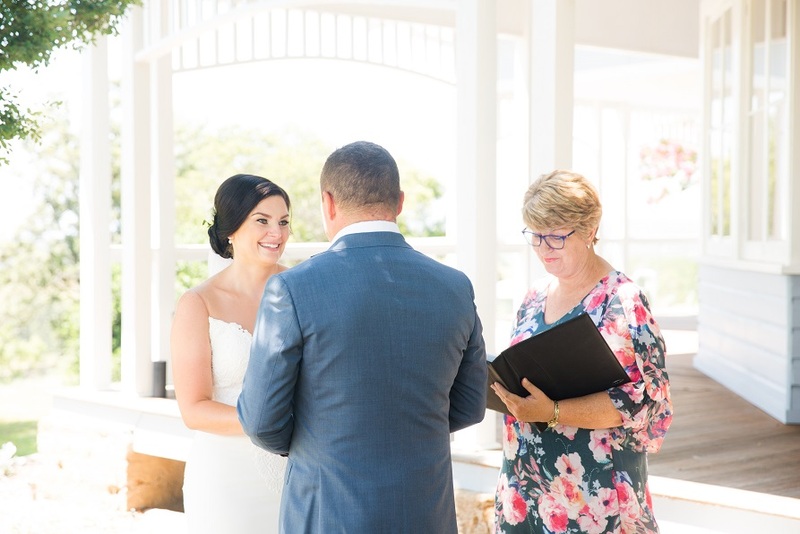 After the signing she made the smart decision to move everyone back inside in the air conditioning before we all melted which was appreciated by all. 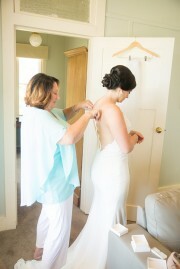 Its always a joy to do weddings with Lee, I highly recommend her. 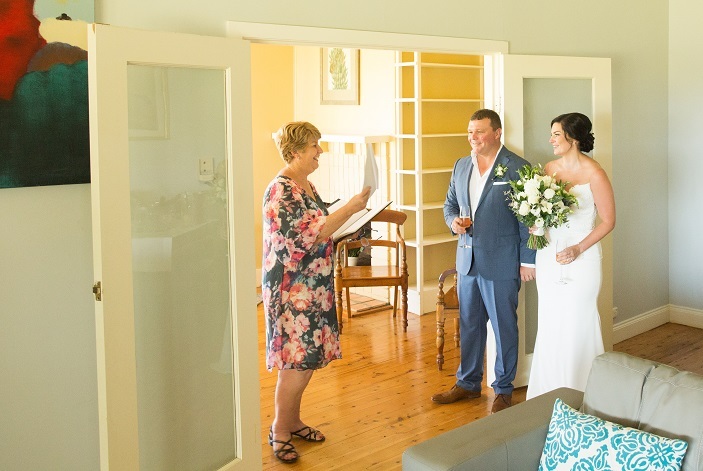 The location time for this wedding was the quickest I’ve done, probably only 20-25 minutes and for good reason but we managed to get a good array of shots for them without being out in the elements too long. 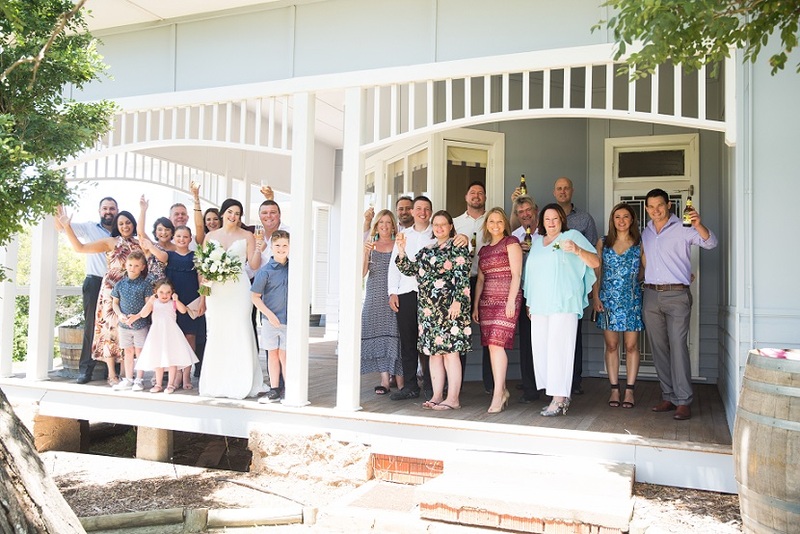 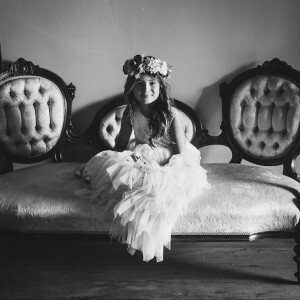 After their location shoot they headed off to join family and friends at Hunters Quarters, a stunning restaurant just down the road from Audreys and a perfect venue for the number of guests they had. 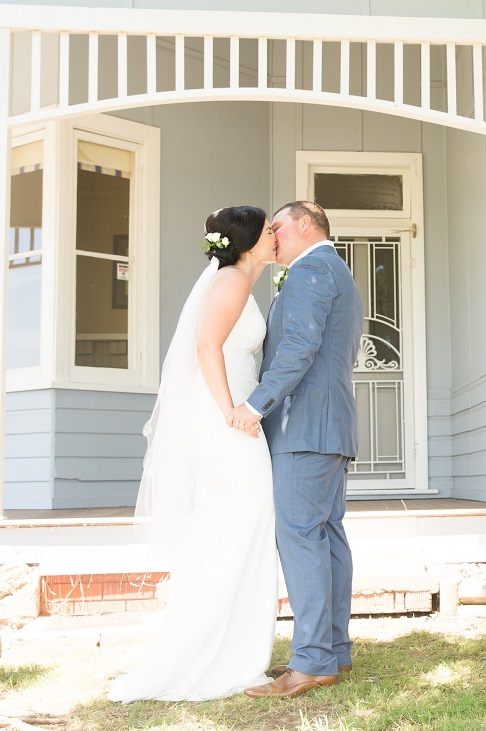 It was a perfect day for Claire and Ben, they said they wouldn’t have wanted it any other way.